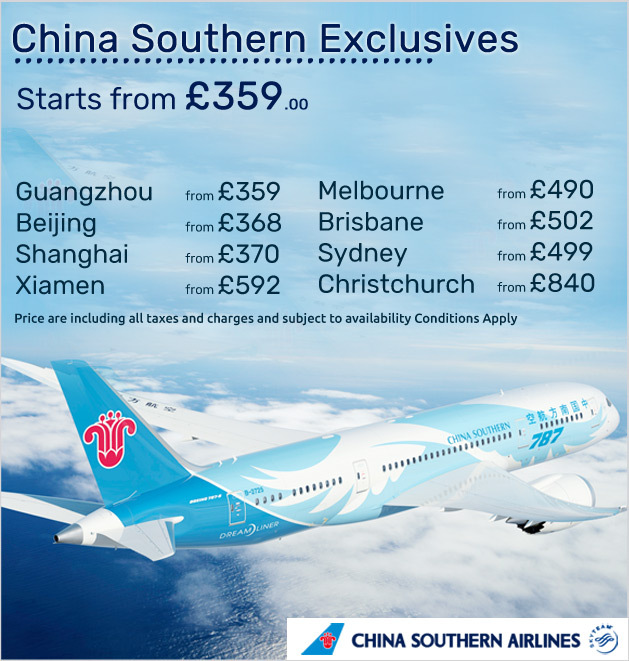 Are you looking for the most incomparable deals on flights with China Southern Airlines that are unbelievable? You search ends right her as you have reached the right place. Founded in 1981, China Southern Airlines is the largest airline in The Peopleâ€™s Republic of China. The airline is a member of SkyTeam Airline Alliance and ensures safety and comfort to numerous destinations within China or across the globe. The airline has a huge fleet of more than 440 contemporary aircraft and serves 191 cities in 33 countries all over the world. China Southern Airlines was honoured with an award of four star ranking by Skytrax. It is at present the largest 4 star airline to hold this title. In June 2012, the airline launched its first flight from Guangzhou to London, which is also known as the “Canton Route”. The airline offers 485 flights a day from its hub located at Guangzhou and 221 flights a day from its Beijing hub. 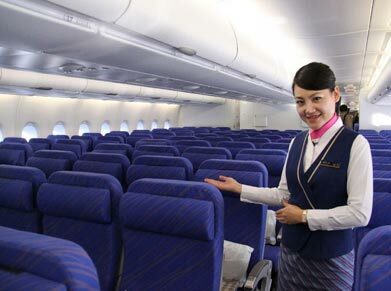 Passengers flying with China Southern Airlines’ Economy Class are taken by surprise as they are provided the utmost level of joy and comfort in the air. What else can you ask for other than courtesy and respect that you are treated with? The Economy Class offers a relaxed seating in a comfortable 2-4-2 seat layout that has a 79 cm seat pitch. All seats are equipped with a private video screen with an LCD touch screen in the backseat that offers a choice to the flyers to watch Chinese and Western movies as per their desires. You can choose between Western or Chinese meals that are served with a wide range of drinks. You will be served various hot and cold drinks by the flight attendants during the course of your flight. 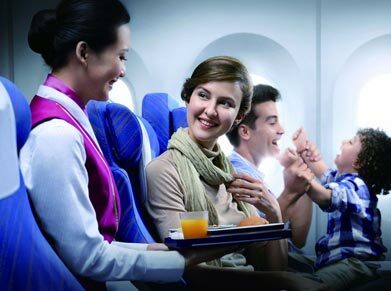 China Southern Airlines’ Premium Economy Class provides more luxury and comfort to those passengers who know what they are looking for in a supreme class. When you take to the air in Premium Economy Class, the comfort is simply beyond compare as you are provided an elegant and matchless satisfaction that you may not find in any other airline. The seats in Premium Economy Class have a 2 – 4 – 2 configuration, which is separated from the rest of Economy Class. Passengers can get pleasure from new seats with up to 40% more leg space as compared to Economy Class. Take charge of a private entertainment system with LCD touch screen in backseat so that you can enjoy Western and Chinese movies, series and other various entertainment options. Grab benefits of Economy Plus Service which includes an extra snack, a comfortable pillow, personal amenities kit and priority on boarding. Those flyers who are looking for the most unmatched levels of comfort and luxury prefer to fly with China Southern Airlines’ Business Class. They are among a few privileged ones to be provided with such an opulence that is simply commendable. 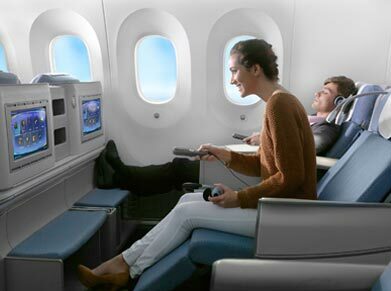 The airline’s Business Class seats can recline into an 180° full-flat position. The capacious 2-2-2 seat configuration offers the required space to relax completely. Take pleasure in all the contemporary electronic amenities and noise reducing headphones and a 15” private LCD TV screen that offer you a wide array of Western and Chinese movies and entertainment. Enjoy your favourite music when you are aboard. Relish lip-smacking multiple-course meals with a choice of Chinese or Western dishes, which come with fresh fruit, fresh salads, cheese, pasta, etc. You are also offered a variety of drinks, snacks and refreshments in between meals and upon request. If you are going up in the air in First Class of China Southern Airlines, then nothing can prove to beat the odds of travelling in style and elegance. First Class provides you the ultimate level of luxury and reflects a royal touch to your flight. The comfy journey is simply beyond compare and this special class puts you at ease. The First Class depicts absolute luxury that allows each passenger to take delight in their flight in a relaxed manner. The First Class travellers are bound to experience exclusive catering to meet every need. What’s more? The seats can be adjusted electronically and also equipped with a back massage function for pure relaxation. The seats can be converted into a comfortable full-flat bed. You are the privileged one as you’re offered a laptop power supply, satellite phone, noise reducing headphones and a private TV screen. Get your hands on a variety of music channels. 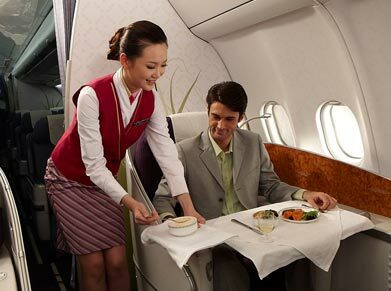 Being a First Class passenger, you can choose from sophisticated gourmet meals of both Western and Chinese cuisines. You can experience the magical world of the Chinese tea ceremony, which is a unique experience when you are in the midst of the clouds.